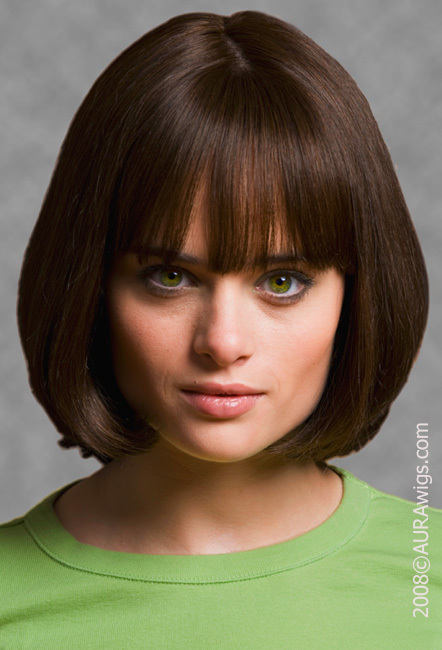 Home :: Custom Wigs :: Custom European Wigs :: London Bob - 10"
LONDON BOB – IT’S A CINCH TO LOOK THIS BEAUTIFUL! 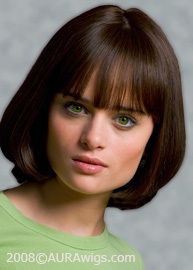 AURA brings you a classic chin-length (10 inch) bob that looks simply natural and timelessly flattering. It’s no-nonsense and no fuss for your busy lifestyle – just wash and wear if you wish. For a little variety, style in a side sweep, pin it back by your ears, or top it off with a headband. Order it with bangs or without – you decide!